When you return from a tired day at work, all we want to do is sit down and have ice cream or fried potatoes and watch TV. Stop! Why do we eat high-carbohydrate foods and fats when there are more healthy alternatives? Here are 8 snacks that are tasty and low in carbohydrates. Chips, ice cream, biscuits, chocolate, crisps and popcorn - all fall under the menu of "snacks". Snacks are usually used to silence hunger, to be entertained when watching TV or using computers, or when you suddenly feel hungry for something delicious. 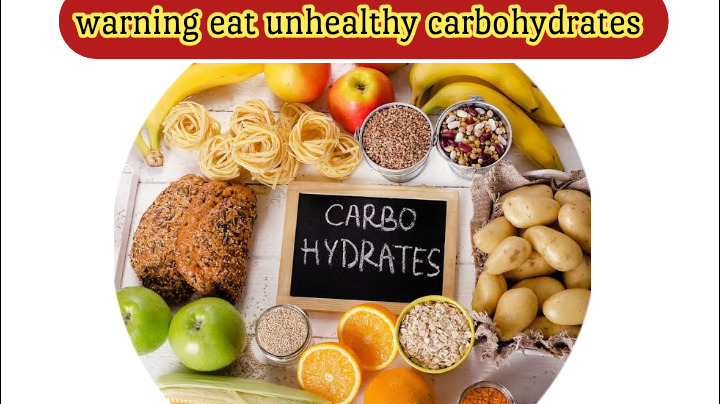 But be aware - these foods contain a very high amount of sugars and fats, which is the amount of calories contained in these foods, in addition to lack of nutritional value. What are the least sugars for such snacks? As an alternative to the above-mentioned snacks, you can choose snacks that are equally tasty and more healthy. Optimum snacks are those that contain sugars with a low glycemic value, rich in dietary fiber and / or other food compounds, that contain a certain amount of proteins that contribute to the food budget, in addition to fat, but the healthy type of heart . Recall below are eight delicious snacks, healthy and low in sugars. Take the salad you used to prepare and add the boiled egg slices or a quarter of the chopped avocado. Add to the salad a teaspoon of olive oil and 1 - 2 tablespoons of balsamic vinegar, or alternatively add one tablespoon of balsamic vinegar (Vinaigrette) sauce. Each meal (boiled egg) contains 3 grams of sugars, 1 gram of dietary fiber, 146 calories, 11 grams of protein, 10 grams of fat, 3 grams of saturated fat. Cut the ground chok (artichoke - from the leg to the tip) and removed from the middle of the barbed, uneatable part. Place it in a bowl to the microwave heating device with half a cup of water. Close the container with the lid and heat it at the maximum temperature until the ground is soft (about 6 minutes for the ground per minute and 10 minutes for the two). It can be sourced with sour juice, two tablespoons of canola or mayonnaise oil with olive oil. Each meal (add acid juice) contains: 17 grams of sugars, 9 grams of dietary fiber, 76 calories, 5.5 grams of protein, 2 grams of fat, 0.01 grams of saturated fat. It is a regular authority such as that offered by fast food restaurants, consisting mainly of lettuce. This meal can fill hunger when you are out of the house, as it is the most healthy meal, among the rest of the fast meals. Each meal contains: 12 grams of sugars, 3 grams of dietary fiber, 220 calories, 30 grams of protein, 6 grams of fat, 3 grams of saturated fat. Bake three sticks of salari with 2 tablespoons of natural peanut butter (without sugar or with a small amount of sugar). The "handful" is roughly equivalent to a quarter cup. You can eat your favorite nuts, or mix several varieties to diversify. Be aware that the nuts are natural, or that they are toasted without salt. An excellent way to enjoy beans that contain a large amount of protein is to put 3/4 cup of frozen beans and peeled into a special container and placed in the microwave heating device and heated for several minutes. The beans can be seasoned with black pepper and half a teaspoon of olive oil. Each meal includes: 8 grams of sugars, 4.3 grams of dietary fiber, 97 calories, 9 grams of protein, 4 grams of fat, 0 grams of saturated fat. Cut one carrot lengthwise into sticks or loops and serve with a quarter cup of chickpeas as a snack. It is a mixing cup of low-fat soy milk with 1/8 or 1/4 cup of strong coffee. Caffeinated coffee can be used when caffeine is sensitive. Serve hot, or, if you want a cold and refreshing drink, mix with 4/3 cup of mashed ice. Each meal contains: 8.5 grams of sugars, 1 gram of dietary fiber, 73 calories, 6 grams of protein, 1.9 grams of fat, 0 grams of saturated fat.